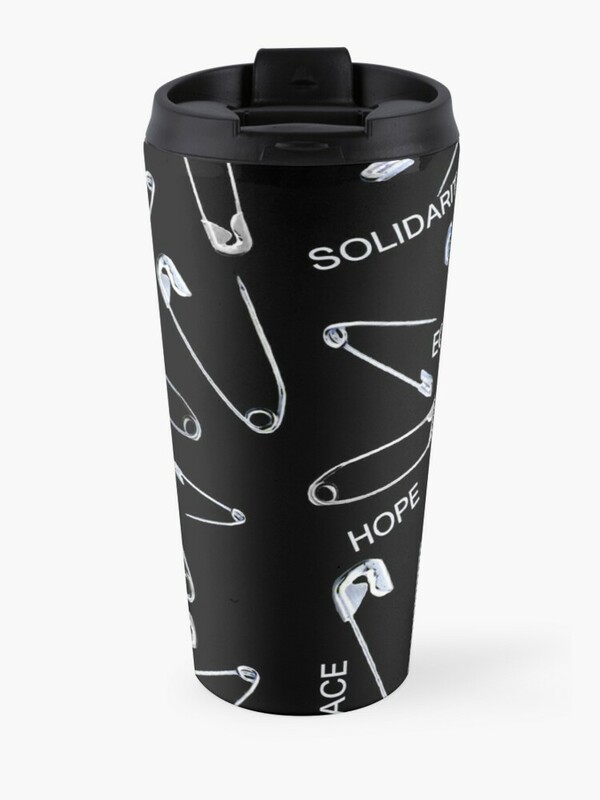 You're safe with me. 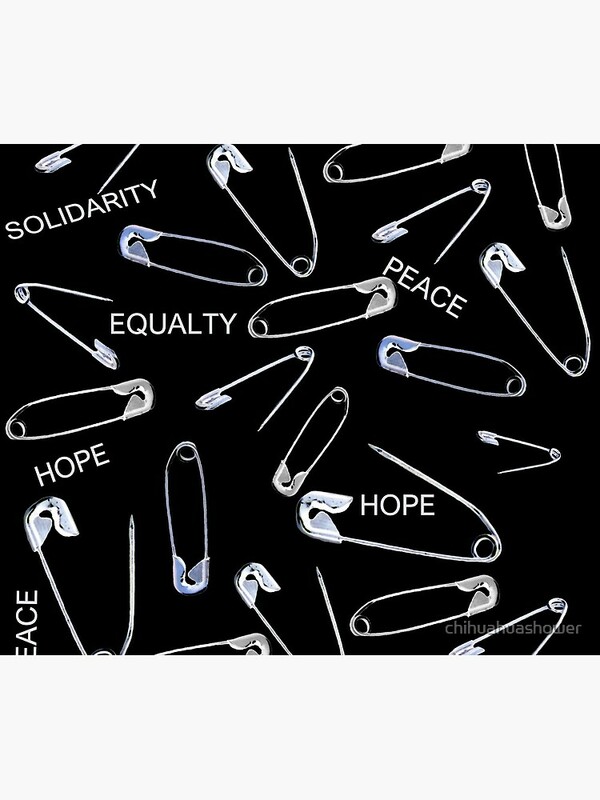 Such a simple way to stand in solidarity, by wearing a safety pin (or many safety pins) to declare equality and respect. 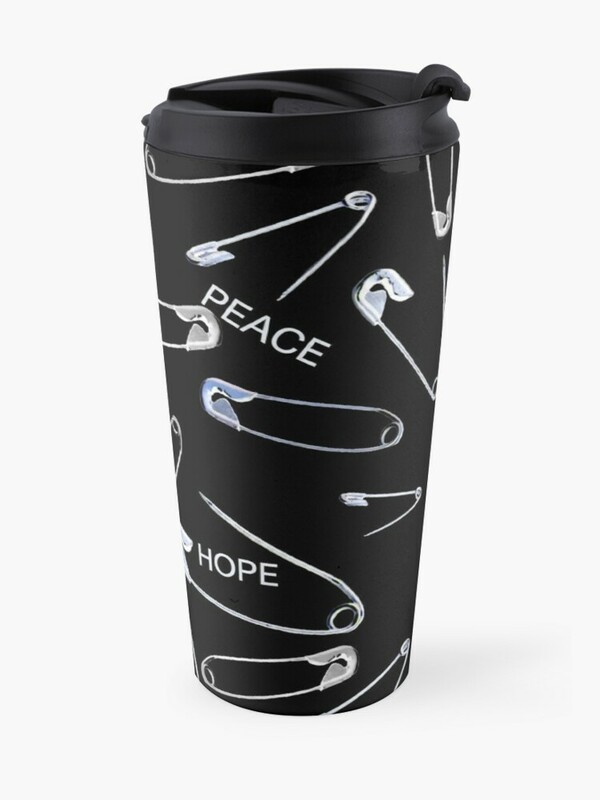 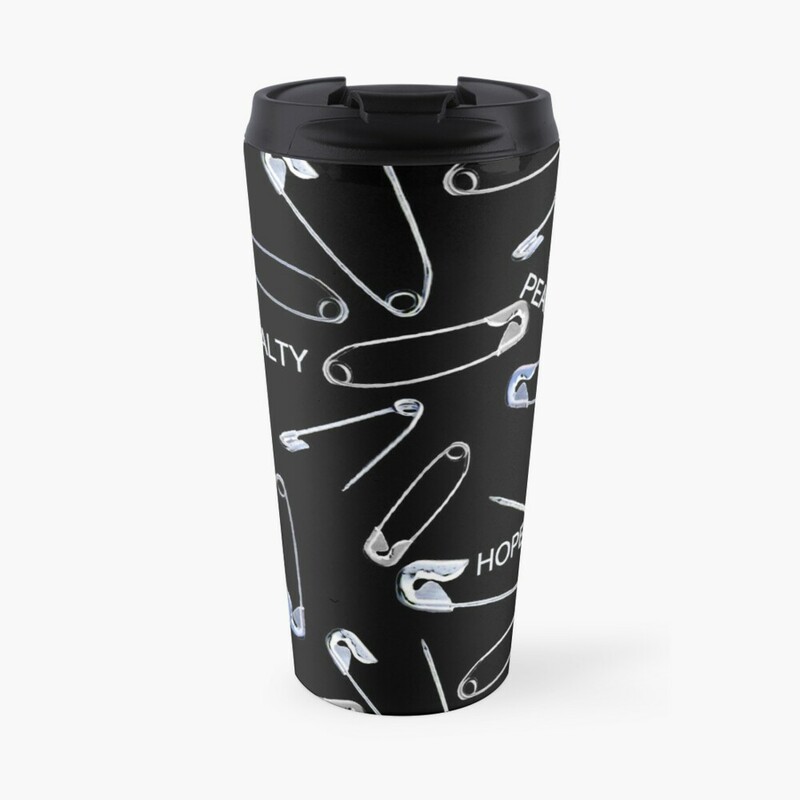 This print takes the safe with me safety pin campaign and adds activist mottos - peace, solidarity, strength, love, hope, and equality. 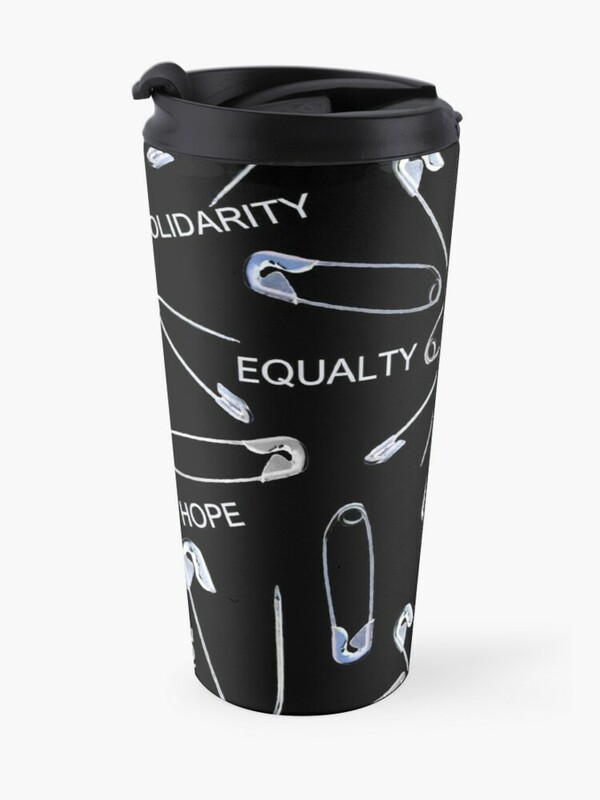 It even comes in travel mug for taking on those protest marches!